Should you trust Codd or your objects? Tabular data storages based on what is formally known as the relational data model will be celebrating their 50th anniversary in June 2020. Here is an official document – that very famous article. Many thanks for it to Doctor Edgar Frank Codd. By the way, the relational data model is on the list of the most important global innovations of the past 100 years published by Forbes. On the other hand, oddly enough, Codd viewed relational databases and SQL as a distorted implementation of his theory. For general guidance, he created 12 rules that any relational database management system must comply with (there are actually 13 rules). 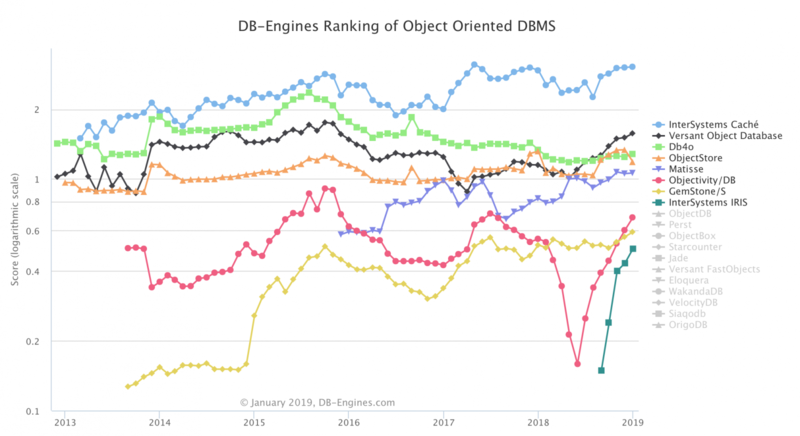 Honestly speaking, there is zero DBMS's on the market that observes at least Rule 0. Therefore, no one can call their DBMS 100% relational :) If you know any exceptions, please let me know. The relational data model is not very complex and is very well studied. Maybe even overstudied. In the meantime, we'll be celebrating another anniversary in 2019 - exactly 10 years ago, when very first #NoSQL hashtag that later became known as "not only SQL" appeared on Twitter and started its rapid expansion into database development models. Why such a lengthy introduction? Because the software development universe consists of data (and algorithms, of course), while the monopoly of the relational model leads, to put it mildly, to the divergence of the developer's consciousness. Because all the objects in the head of a developer (OOP is also global, right?) – all these lists, queues, trees, heaps, dictionaries, threads, and so on and so forth – are not tables. What if we go on and recall the storage architecture in modern DBMS's? Let's be honest, no one stores data in tables. DBMS developers typically use variations of the B-tree (in PostgreSQL, for example) or, far less often, dictionary-based storage. On the other side of the barricade, developers using DBMS's for storing data do not work with tables either. And it makes developers constantly bridge the semantic gap using a cumbersome intermediate data layer. And by doing so, cause an internal dichotomy, system-wide discomfort and debugging sleeplessness. That is, briefly speaking, we have a contradiction here – we pack data into objects suitable for our purpose, and at the same time have to care about some tables when saving data. Dead end? Nope :) And what about object-relational representation, more commonly known as ORM? Let's leave this holy war to Egor Bugaenko & Co. And this whole last-century story, according to Uncle Bob, shouldn't be too much of a worry. We should definitely mention that the "bag of bytes" (Robert Martin, Clean Architecture) can be serialized or dumped to a file or pushed to a suitable thread. First, it will immediately restrict us to a particular language. Second, we are going to focus on saving to a DBMS only for now. How to get free test access to the InterSystems Caché DBMS? It's 100% possible, no matter what some people say! :) Download and install the single-user, fully functional version of Caché by clicking on this link (requires free registration). MacOS, Windows, and Linux builds are available. The most convenient way of working with ObjectScript code with direct access to the Caché DBMS server (and the InterSystems IRIS platform as well) is to use the Atelier IDE based on Eclipse. All download and installation instructions can be found here. If it's more convenient for you, you can use the simple and comfortable Visual Studio Code in combination with the ObjectScript plugin developed and supported by the community. To get some ideas, let's turn our sights to the popular "Framework Weekend" projects in Khabarovsk. The sample source code is available here: github.com/Hajsru/framework-weekend. Ours is provided in the text below. This is highlighted in the documentation. Let's go then. Our Caché classes will be very simple. We can do without an IDE - just copy the code of the classes directly through the portal of your instance of the Caché platform (yes, the Caché DBMS is far from being just a DBMS): System browser > Classes > Import (Namespace USER). After saving, objects will appear in globals with names matching those of corresponding classes. Look for them also in the Caché management portal: System browser > Globals (Namespace USER). First, let's connect to the Caché DBMS database. Let's do everything exactly as specified in the documentation. Just a useful fact for work. The free educational version of the Caché DBMS allows you to do everything its paid counterpart can do but supports two active connections only. Therefore, you won't be able to keep one connection from the IDE and concurrently try to run some code for interacting with the server. The simplest solution is to close the IDE while Python code is being executed. Now, let's create an object database with data on IT events and their participants. A very, very simple one. First, let's create a class for registering users and storing participants' details. For simplicity, the class only contains the participant's name. As you can see, we are using ready wrapper functions for methods intended for accessing object fields in Caché: "set", combined with passing a property name in quotes in the parameters, and "openid" with the name of the package and class. There are examples for the identical "get" function below. To access any other methods, including those inherited by the class from its ancestors, use the run_obj_method() function with the name of the method and call parameters, if necessary. That's how we can save objects directly and without having to involve additional libraries and frameworks, such as the ubiquitous and inconvenient ORM's. Besides, thanks to the OOP nature of ObjectScript along with the methods of your class (in our example, we didn't create them), we get access from Python to the entire set of methods inherited from the Persistent class and its children as a free bonus. Here's the complete list, just in case. Make sure to check that after this sample code is run, the object record should disappear from the global. Although the loaded data still remain in the "memory" of your object until the program is closed. Let's make the next step. Let's create actual event records. The structure of the class is almost identical to that of the participant class above. Most importantly, we now have a method for adding participants to the list of event participants: addAttendee(att). Let's try to create an object record about the new event and save it in the database. As you can see from these examples, you don't necessarily need to simultaneously think about your data model and its tabular storage schema. You can use more obvious tools for your tasks.